It was one of the most watched finals in the league’s history. League of Legends fans were treated to one of the most memorable LCS series of all-time yesterday. As a result, it makes sense that a ton of people tuned into the Riot Games stream. 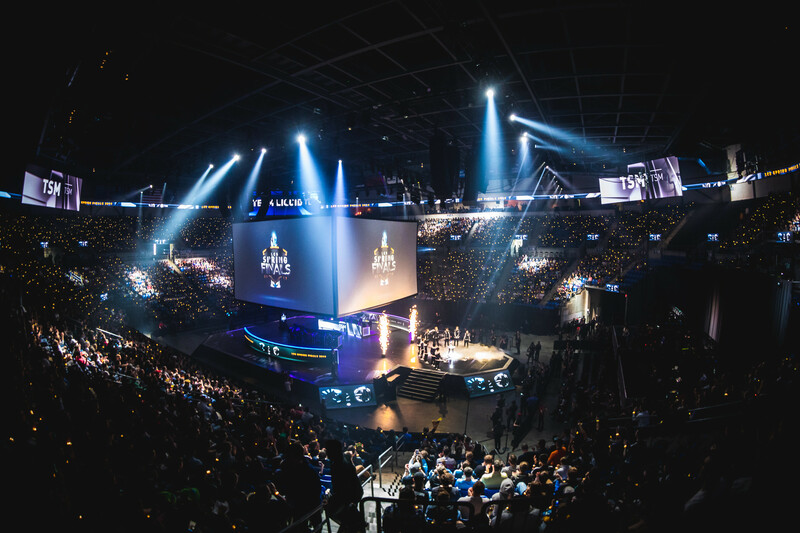 In fact, this Spring Split finals was one of the most viewed in LCS history—the stream hit a peak of 600,000 viewers. Only TSM and Team Liquid could have brought in the masses as they did in St. Louis. Last year, the 2018 LCS Spring Split finals between Team Liquid and 100 Thieves was able to reach a peak of 520,087 viewers. Unfortunately, this match wasn’t able to beat out the 2017 Spring finals between TSM and Cloud9. Congratulations to @TeamLiquidLoL on winning the 2019 #LCS Spring Split! Thank you to St. Louis and @ChaifetzArena for the wonderful memories and incredible hospitalty! GG WP! There were a few good reasons why so many people logged on to watch the finals this split. First, TSM and Team Liquid are hailed as two of the best teams in the region. Liquid were the superteam that took North America by storm, especially after the acquisition of star mid laner Nicolaj Jensen and 2017 world champion, Jo “CoreJJ” Yong-in. TSM was the former king of NA, looking to recapture greatness with its new-look roster. There were a plethora of storylines that people were invested in as well. For example, Jensen had a chance to win the first LCS championship of his five-year career, while superstar ADC Yiliang “Doublelift” Peng looked to capture his sixth championship and give himself more of an argument in the “LCS greatest-of-all-time” discussion. TSM, on the other hand, looked to reach the apex of the mountain once again. Søren “Bjergsen” Bjerg wanted to win this series and cement himself as the best player in LCS history. Jesper “Zven” Svenningsen wanted to become the first player to win a championship in both North America and Europe. We’ll need to see if the LEC Spring finals between G2 Esports and Origen can reach the same numbers today. You can catch all the action on Riot Games’ Twitch channel.